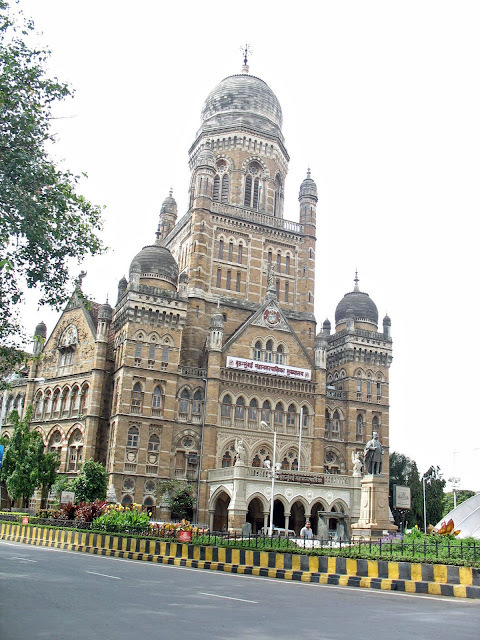 These are two photographs of the Mumbai Municipality. The building was completed in 1893, during the British Raj in India.The style of architecture is based on the Renaissance period of 1500–1700 AD. This picture is just the facade of the front of the building. The actual building stretches out at the back. 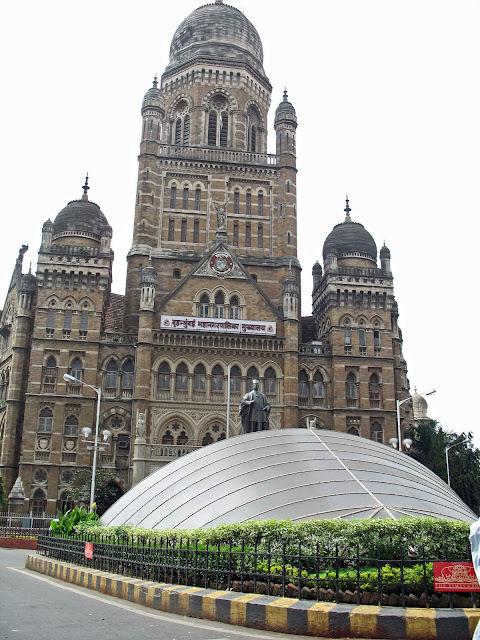 At the entrance of the building is a bronze statue of Sir Pherozshah Mehta, the city's municipal commisioner in 1893. This building is a heritage site. Unfortunately the subway entrance right in the front of the building ruins the look of the building. It's shocking that the city allowed this synthetic structure to come up here. At least the design could have been in sync with the building. Related Images: Check out another important heritage site opposite the municipality: VT or CST railway station in Mumbai or this post: Mumbai Skylines - Nariman Point and Malabar Hill. Alternatively click on any of the related labels at the bottom of this post.